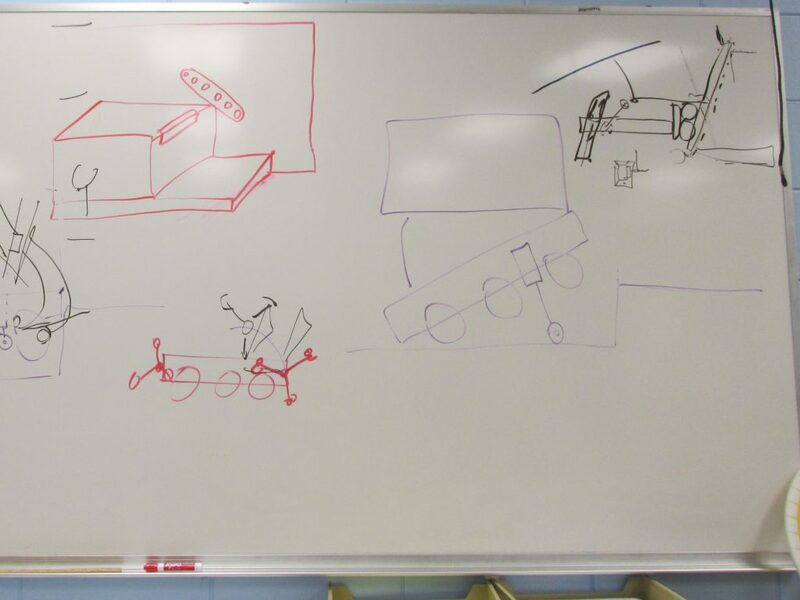 This week the Gearheads began brainstorming and prototyping our robot for the 2019 competition season. It makes me think of the Movie “Plane’s, Trains and Automobiles” because that is a big part of the work for the week. As in incline planes- we are working on the challenge of getting the robot onto the second step of the “Hab”. This involves some careful calculation of angles and incline planes to achieve the climb. As in Drive Trains. We have pretty much settled on a 6 wheel, center drop style for the drive train this year. We have been experimenting with a West Coast drive chassis this fall and it seems to fit this year’s challenge. We also plan to have a central elevator to raise the manipulator to reach the hatches and pod’s on the upper levels. The robots can start on the steps, and there is a great deal of talk about “Dukes of Hazzard’ing” off the steps at a high rate of speed during the first 15 seconds of the match.